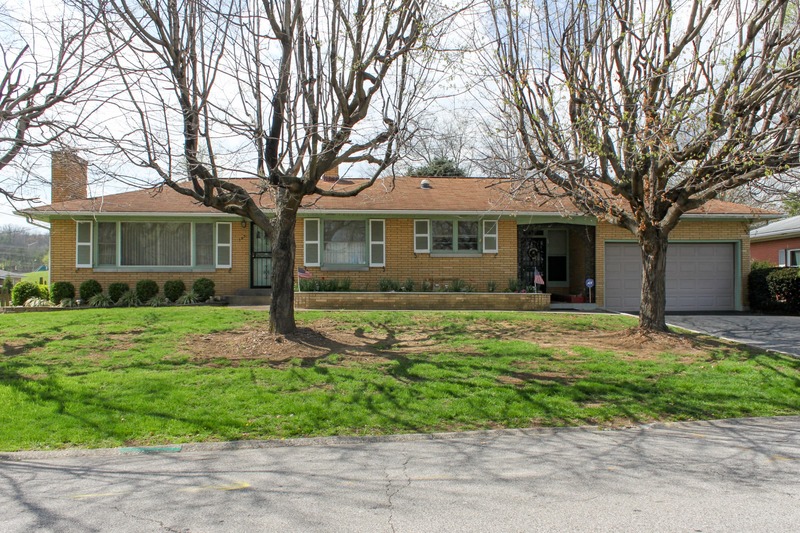 Gott Real Estate & Contents Auction — Harritt Group, Inc.
Mid-century brick ranch with full basement, enclosed porch & breezeway, attached garage plus detached garage in established neighborhood off Daisy Lane located just minutes from hospital, shopping & expressway. Also selling contents including antiques, collectibles & furniture. Spacious 2 bedroom – 1 1/2 bath brick ranch built in 1954 with 16’x24’ enclosed porch, enclosed breezeway, attached 16’x22’ garage plus 18’x25’ detached garage on landscaped lot. Home features 1217 square feet plus full basement, living room with fireplace, eat-in kitchen, family room finished in lower level, wood stove in enclosed porch plus wood deck and fencing on 88’ x 113’ lot in Finchland subdivision off Daisy Lane. Currently pre-auction offers considered. 10% non refundable down payment day of auction, balance due in 40 days. Buyer to assume Spring 2017 taxes due Spring 2018 and all subsequent taxes. Possession immediate upon closing. Vintage wooden Ford wheel, B & W Ford assembly line photos, Ford belt buckles, signed Don Ensor “Riding In Style” print, E.R McIntosh 1900s Ford print, rotary phones, cast iron tea kettle and irons, stoneware crock, Hot Wheel “Crack Ups” track, vintage board games, oil lamps, log cabin model, vintage oil tins, oil on canvas art pieces, vintage books including Call of the Wild and Huckleberry Finn, late Derby glasses, large selection of costume jewelry, vintage Alvin & The Chipmunks stuffed animal, china face dolls, 1960s rock and roll albums including The Beatles, Rolling Stones, Black Sabbath, Jimi Hendrix, Cat Stevens and Pink Floyd, bourbon decanters, globes, Underwood & IBM typewriters, shot glass collection, large selection of bells, mini cast iron stove, vintage Brother record player, National Geographic collection, Hoosier heritage book, pocket knives, railroad bookends, concrete dalmatian, retro children blocks, porcelain christmas tree, lots of bar supplies, large selection of glassware, household goods, tools and much more. (2) Full size beds, (3) piece dresser set, waterfall chest highboy dresser, small dresser, night stands, (3) sofas, wooden glider chair with foot rest, china cabinet, dining room table, dinette set, sewing machine, Conn organ, cloth chairs, patio furniture, bar stools, folding chairs and more. I-265 to State Street Exit 1. South 1/10 mile to left on Daisy Lane. 1/10 mile to left on Franklin Drive.